A world class Italian inspired Spa offering luxury treatment rooms, outdoor treatments, steam room, heated indoor pool, gymnasium, several swimming pools, relaxation area and a 7 day Spa service, until 22h00. Situated a mere 1km from Langebaan on the Cape West Coast, Club Mykonos Casino & Spa nestles in a beautiful cove with its own private beach of golden sand and azure sea. This equipped, self catering resort comprises of white Greek styled Kalivas with brightly painted shutters, reminiscent of a Mediterranean holiday experience. From the shores of the resort, guests can enjoy water sports and a host of restaurants and shops. After you’ve exhausted all the onsite activities, take the scenic 2 hour drive to cosmopolitan Cape Town for some unique shopping and not to mention a trip up glorious Table Mountain. Spa & Hydro Facilities: Couples treatment rooms, single treatment rooms, steam room, outdoor treatments, gymnasium, heated indoor swimming pool, relaxation lounge, Manicure area, 2 jacuzzis, wet room, steamroom, 2 saunas, 2 plungepools and The Leisure cafe. Operational Hours: 08h00 - 22h00, (7 day spa service). 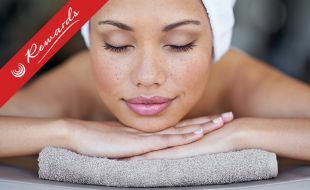 Use your Rewards card and enjoy instant savings on any treatment at the La Vita Spa at Club Mykonos.